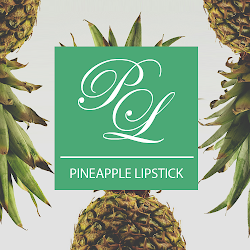 Pineapple Lipstick: Is it a Fruit or a Hand Cream? Is it a Fruit or a Hand Cream? A hand cream that smells so good, you'll almost be tempted to eat it, but please don't haha. 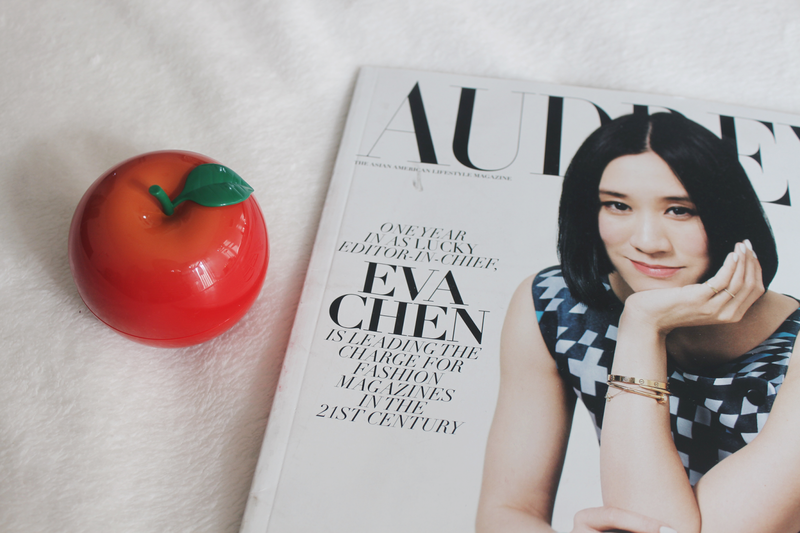 I'll be honest, Tony Moly's Apple Hand Cream has been on my wishlist for a while now, solely because of Eva Chen, previous editor in chief of Lucky Magazine (& my fashion hero,) swears by it. 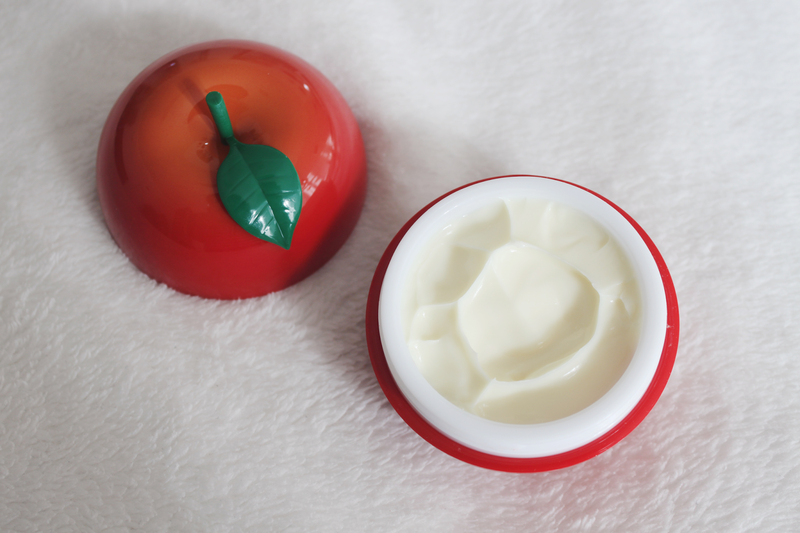 The hand cream is not like the typical synthetic smell when products claim to be an "apple" scent, instead it truly smells like a genuine sweet and crispy apple. Next off, don't even get me started with packaging as I am a total sucker for it. The cream is packed in an apple shaped container, which was too cute to pass up and when a brand has irresistible packing, consider me immediately hustled. Also, when you're done with the hand cream, you can reuse the apple container to store little trinkets. Plus, who could bare to throw something so cute away? I am extremely picky when it comes to hand cream formula because I can't stand a greasy texture left on my hands. Thankfully, this one passed the test and was very moisturizing. Although the formula is thick, it absorbs quickly into your hands and doesn't leave you feeling greasy. In addition to apple, the hand cream also comes in a peach and tangerine scent, and you guessed it - the peach scent comes in a peach container and the tangerine scent is packaged into a tangerine container. For now, this not available in-store at Sephora but can be purchased online. I bought the hand cream in-store from my local Urban Outfitters as they've been stepping up their Korean skincare game lately. Have any of you guys picked up this hand cream yet? I love the packaging! It's so cute, and I much prefer it when the cream absorbs quickly, so this hand cream sounds amazing! That must be the cutest hand cream ever!! I love packaging, if I had it I'd bring it all over to put a smile on my face, haha! Visit Pineapple 's profile on Pinterest. MAC's Whirl and Stone in Lipstick Form!? Serving Aloha with Leahlani Skincare! All content is copyright by Pineapple Lipstick © 2014-2017 All rights reserved, please do not use, take, copy, or republish content without written permission.